Many of us have written off Gandhi as irrelevant to our era of globalization and liberalization. Even before independence he sounded too conservative to many and his views on rural development were out of date. To others he was too religious to be acceptable in modern times. His economics did not make sound sense even to Jawaharlal Nehru though he was Gandhi's great follower. To Sardar Patel he appeared to be too pro-Muslim to be uncritically acceptable and communal forces whether of Muslim League Variety or RSS and Hindu Mahasabha variety openly detested, him even hated him. A Hindu fanatic Godse ultimately shot him dead. Babasaheb Ambedkar also fought against him on the dalit question. Gandhi was undoubtedly a great person and like any other great person he had a very complex personality. A great man has to deal with very complex situations and even, of necessity, has to respond in different situations differently and apparently in a contradictory manner. Gandhi had to deal with a complex society of a bewilderingly diverse country like India, and above all he had to deal with a mighty imperialist power like Britain. No wonder then that Gandhi's personality appears to be so complex and bewilders many observers. Gandhi was deeply religious yet so rational. No one could lead Indian society without understanding its religious and cultural ethos. A leader while leading is also led in a way. In other words one cannot lead without being led by the people one leads. Logically this appears contradictory but this is what reality is. Gandhi could not have ignored the religious sentiments of the people of India. Indian people were deeply religious and Indian culture was deeply influenced by religious customs and traditions. No leader of any worth could lead India ignoring religion. Because of ignorance and illiteracy religious beliefs had acquired overtones of superstition and they thus tended to be superstitious rather than spiritual. It was, therefore, necessary for an effective leader to emphasize the role of reason. Thus Gandhi combined religiosity with reason and talked of letting in fresh winds from the west by keeping mental, windows open. Thus to westernized people, he appeared to be too religious and too superstitiously religious to be rational. And it was due to such a complex character that Gandhi became a great leader. He responded to all developing situations very carefully and intelligently. In view of certain calamitous situations he would become enigmatically silent and would speak only after a number of days spending periods of silence for deep reflection. He never acted instinctively. Many of his actions appeared to be quite enigmatic, even to his close followers like Nehru and others. Nehru was baffled when the Mahatma withdrew the civil disobedience movement when it was at its height after the Chauri Chaura incident. But Gandhi withdrew the movement as it was becoming violent and he knew once violence starts it will go totally out of control and the British rulers will suppress it ruthlessly. He took up the Khilafat movement in 1919, which appeared even to Jinnah as pandering to sectarian mullahs and he differed from Gandhi on this question. But Gandhi knew the deeper urges of the Muslims of lndia and by supporting the Khilafat movement he successfully drew Muslim masses into the freedom movement and the Jami's-at-ul-Ulama-I-Hind (an organization of Muslim theologians of India), became a permanent ally of Indian National Congress so much so that it vehemently opposed partition and appealed to the Muslim masses not to be misled by Jinnah. There were serious contradictions between Gandhi and Jinnah. Gandhi was thoroughly Indian by ethos and Jinnah was highly westernized. Gandhi was a man of the masses, Jinnah was totally elitist in his orientation. Gandhi drew masses into the freedom movement, Jinnah felt politics was for the educated elite and it is for lawyers to decide the constitutional questions with the British rulers. Jinnah was an ace constitutionalist and Gandhi was a fighter for the cause. Jinnah was mainly concerned with minority rights and Muslin question and Gandhi had to lead the entire nation. Gandhi developed the doctrine of Satyagraha and nonviolence which was unique in the modern political movements and for Gandhi nonviolence was not mere strategy. He elevated it to the status of a political doctrine. It was indeed a unique contribution of the Mahatma to the whole of humanity. The British rulers were also totally baffled by Gandhi’s insistence on nonviolence. It was difficult for them to deal with Mahatma Gandhi. They had never dealt with such person before. The ‘naked Fakir’ became the greatest challenge for the mightiest rulers in the world. The twentieth and twenty first centuries so far have been the most violent and the world needs the doctrine of nonviolence as never before. In this respect Gandhi remains most relevant. He proved the efficacy of nonviolent political struggle and while all other colonial countries were waging armed struggles for freedom, India was the only country fighting for its liberation through nonviolent means. However, after independence this most noble doctrine of nonviolence has been relegated to the political backyard. The communal forces base their politics on hatred and violence. Gandhi, though himself, a Hindu, was not an exclusivist. He was not only inclusivist but also the upholder of the doctrine of pluralism. He firmly believed in the principle of equal respect for all religions of the world. I have no hesitation in saying that he was a Hindu Sufi. For Sufis the basic doctrines are sulh-I-kul (total peace or peace with all) and love (muhabhat). Also, like the Sufis, he believed in living a simple life, a life based on needs, not on greed. He often pointed out there is enough on this earth for everyone’s need and not enough even for one man's greed. Contemporary India is developing neither along the ideals of Gandhi nor those of Nehru. Their differences were more apparent than real. Nehru was agnostic but understood others need for religion and he had great insights into Indian civilisation and understood its cultural ethos. Both Gandhi and Nehru were deeply committed to Indian Pluralism and human rights and individual dignity. Both Gandhi and Nehru were aware and appreciative of the contribution to Indian culture by all communities, particularly of Muslims. Gandhi was indeed deeply aware of the Muslim question. Unfortunately the more he tried to solve it, more problems it created. Gandhi wanted to tackle it with a sense of justice and wisdom. He was inclusivist to the core. He knew the nation could not be built by excluding the Muslims at any level. But the Muslim League of Jinnah on one hand, and the Hindu communalists on the other were not prepared to bring wisdom and sense of justice in resolving this tangled problem. The most fundamental question, as far as Jinnah was concerned, was of proper constitutional arrangement for power sharing between the two communities and when this arrangement could not be satisfactorily worked out he began to propound the two nation theory. Propounding this theory added to the complexity of the problem. The theory had no substance of course and it generated more heat and bitterness. It enormously complicated the communal problem. The Hindu communal forces too believed in Hindu Rashtra and considered Muslims as alien and at best secondary citizens. The RSS theorists had laid the foundation of separate nationhood much before Jinnah did. Lala Lajpat Rai, Bhai Parmanand, Veer Savarkar and Hedgevar, all believed in the two nation theory and actively propagated it. Savarkar, Hindu Mahasabha leaders and RSS leaders hated Gandhi because of his emphasis on love and nonviolence and respect for other religions. 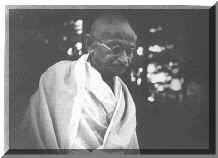 Gandhi firmly believed in secular nationalism and unity of the country. The Hindu Rashtravadis, though they talked of Akhand Bharat and never tired of talking of patriotism, were, in fact, responsible for the vivisection of the country. They hated Muslims, the largest minority and considered them as aliens. They thought, highly superficially of course, that Muslims could never be true patriots (though they themselves were not). Thus through this approach they strengthened the hands of separatists among Muslims and made it obvious for these Muslim separatists that the two nation theory was justified and that Hindus and Muslims indeed cannot live together. This proved disastrous for the unity and integrity of our country. Gandhi, on the other hand, believed in tolerance and acceptance of all religions within the Indian national framework. A modern nation state, he knew, could not be built on intolerance towards others and by excluding them. Nationhood cannot be based on religion. It will only lead to intolerance, hatred and violence. Religious nationalism can and does lead to fascistic tendencies. All communal forces whether of Muslim or the Hindu variety hated Gandhi precisely because tolerance, love and nonviolence which would totally negate religious nationalism and exclusivistic approach. Religious nationalism can be sustained only on hatred and violence. Religious nationalists hate non­violence and peace. They thrive on hatred and violence. In fact religious nationalism is nothing but gross misuse of both, religion and nationalism. A true love of religion and a true patriot would never allow such misuse, either of religion or of the concept of a nation. A communalist, though he projects himself as a patriot, is not. Similarly he thinks he is the defender of his religion but it is not so. One who hates a section of people of his own country cannot be a patriot in any sense of the word and one who peddles hate in the name of religion cannot be truly religious. The communalists are hate mongers on one hand, and champions of their vested interests on the other. It is also important to note that communalists cannot be democrats either. They do not believe in democratic dissent. Anyone who disagrees is a traitor to the 'cause'. Gandhi, on the other hand, was deeply religious, truly patriotic and a great democrat. His politics was based on values like truth and nonviolence. A democracy, in order to be meaningful has to imbibe these values. For Gandhi, the cow was a holy animal as he was an orthodox Hindu. Yet non­violence was more important to him than the cow. Thus he writes in Young India (May 7, 1919) "I believe myself to be an orthodox Hindu and it is my conviction that no one who scrupulously practices the Hindu religion may like a cow killer to protect the cow." And in Young - India (May 18,1921) he wrote very insightfully, "To attempt cow protection by violence is to reduce Hinduism to Satanism and to prostitute to a base end the grand significance of cow protection." He further says in the same issue, "The Hindu must scrupulously refrain from using any violence against the Mussalman. Suffering and trust are attributes of soul force. I have heard that, at big fairs, if a Mussalman is found in possession of cows or even goats, he is at times forcibly dispossessed. Those claiming to be Hindus, thus resort to violence and are enemies of the cow and of Hinduism." In our own times we witness that VHP and Bajarang Dal activists openly inciting violence against Muslims and Dalits. Several riots have taken place in India in the post­independence period too, on this question. What happened in Jhajjar, Haryana a year ago is a hair raising event. Four dalits who were skinning dead cows were lynched. Thus, as pointed out above, communalists can never be truly religious. Gandhi boldly states that it is not Hinduism but 'Satanism'. It is a very harsh word but, for Gandhi, anyone using violence amounts to an act of Satan. For Gandhi truth and non violence are the fundamentals for every religion and he calls them to be the master key with which the essence of every religion is to be unlocked. A communalist, however, never accepts truth and nonviolence. His creed is violence and falsehood. For him revenge is far more fundamental than forgiving. Gandhi was against retaliation as it involves violence. He stood for forgiveness rather than revenge. He wrote in Young India of August 18, 1924, "The law of retaliation has been tried since the day of Adam and we know from experience that it has hopelessly failed. We are groaning under its poisonous effect. Above all, the Hindus may not break mosques in retaliation against temples that are broken. That way lies slavery and worse. Even though a thousand temples may be reduced to bits, I would not touch a single mosque and expect thus to prove the superiority of my faith to the so called faith of fanatics." A communalist can never accept such superior morality. His actions are based on feelings of revenge. Remember what Narendra Modi said in justification of the communal carnage in Gujarat? Reaction is equal to action and hence Godhra needs to be revenged through carnage in the rest of Gujarat. We can very well understand why all communalists hate persons like Gandhi. They of course physically assassinated him but cannot do away with his philosophy of non-violence and truth. In fact the world needs this philosophy as never before. Unfortunately Gandhi's Gujarat has put the whole country to shame by organizing such brutal carnage, the enormity of which is truly mind-boggling. Gandhi is known as Sabarmati's saint and his Ashram is still there on the bank of Sabarmati River and Ahmedabad City is being rocked by communal violence time and again. It is communally the most sensitive city in Gujarat. From 1969 to 2002 several major communal riots have rocked this unfortunate city. The communal forces are well entrenched there, and have used every trick in their bag to intensify communal hatred. It is for Gandhians, not only of Gujarat but of the entire country, to reflect deeply on the situation prevailing in our country in general and in Gujarat in particular. When communal violence could not be checked, Gandhi always undertook a fast and put his life at stake readily. I would also like to share here what Subhadra Joshi told me about the riots in Delhi during partition. Gandhi inquired from her as to how many people were killed in the riots. She answered 10,000. Then Gandhi asked how many of you (i.e. peace workers) have been killed? She said none. Gandhi then said how can I believe that you are trying to prevent communal violence? Those of you who faced the British bullets cannot face the Indian police? But we find today that hardly any Gandhian comes forward to do so. I asked some Gandhians in 1985 when Ahmedabad was rocked by communal violence for long as to why no one among them followed Gandhi and undertook the fast, I was told we do not have the status of Gandhi. One acquires some status only through ones actions. Gandhi also acquired the status he had through constant action based on his deep convictions. Unfortunately very few Gandhians have deep conviction in Gandhi's philosophy. It is therefore highly necessary to critically evaluate the functioning of Gandhians in India today. Unless it is honestly attempted, I am afraid our country will continue to suffer. Today our country is facing several dilemmas, especially moral dilemmas. We forswear by Gandhism but his staunchest opponents are in power today. While Gandhi says I will not like to touch a single mosque even if a thousand temples are reduced to bits, we see a political party riding to power by demolishing a mosque without a single temple being demolished. Our country is a country of bewildering diversity and the Gandhian concepts of truth, non-violence and tolerance are highly necessary to maintain this diversity. Today our unity is in great danger like never before and as true Gandhians and patriots it is our fundamental duty to not only preserve but strengthen this diversity and save the country from violence and hatred, on one hand, and from likely disintegration, on the other. Another dilemma is of no less importance. Gandhi fought against imperialism his whole life. Every action of his was to fight against imperialism. And yet, today we are facing grave danger from neo-imperialism and globalization and we are hardly doing anything to meet this challenge. Gandhi was greatly concerned with the weakest and poorest people and his real measure of progress was how much the weakest sections of society have gained from it. Nehru developed the concept of mixed economy to cater to the needs of the poorer sections of society. Today the entire public sector is being systematically destroyed and what an irony that a ministry of disinvestment, headed by a former World Bank employee has been created. On the one hand we are celebrating the rapid progress India is making and on the other workers and peasants are committing suicide. Two workers recently committed suicide by setting fire to themselves as they were unjustly fired from their jobs. Gandhi was greatly committed to the concept of need-based economy as opposed to a greed-based one. However, the whole thrust of our economy is based on greed for profits. Multinational corporations are almost dominating our economy today. The multinationals are engaged in producing luxury goods leaving the poor starving to death. I feel that after communalism the greatest danger is the neo-economic imperialism. In fact this new economic imperialism further strengthens the communal division. The poor and backward sections of the society are being injected with communal hatred so that they fight the religion and not their real enemy responsible for their poverty and backwardness. Any analysis of those who are increasingly participating in communal movements as well as communal riots are the poor and backward sections of our society. In the Gujarat carnage two poor tribes, dalits and backward caste Hindus were incited to kill poor Muslims. Thus the Gandhians have two grave challenges to meet and both seem to be inter-related i.e. the communal challenge on the one hand and the challenge of globalization on the other. I am not suggesting for a moment that positive benefits of globalization should not be taken advantage of. International trade and connectivity through electronic media have been a great boon, but globalization should not become a vehicle for fast track transfer of our national wealth to Western countries leaving our weaker sections to suffer pangs of poverty and unemployment and a strong dose of communalism and compensation. I hope the Gandhians will dedicate themselves to fight both the challenges with renewed vigour and realize the dangers of neglecting them.